Written reflections help you to gain perspective on your past and to maximize your future. In Gift From the Sea, Anne Morrow Lindbergh beautifully and effectively articulates the power of journal writing: “I began these pages for myself, in order to think out my own particular pattern of living, my own individual balance of life, work and human relationships.” Published more than 50 years ago, the journal traces the observations of a woman who is examining her choices and her life in order to find contentment, balance, perspective and direction. Published journals like Gift From the Sea, The Diary of a Young Girl by Anne Frank and Walden by Henry David Thoreau are wonderful examples of journals that have inspired, challenged and encouraged readers for many years. However, writing a journal can benefit you even if you are not aiming to leave a profound work for generations of readers. Within the busy pace at which you move as a fitness professional, journaling can provide an opportunity to slow down and look at your life. Think of journaling as a powerful tool to clarify, focus and evaluate the reasons you do what you do. Like a machete that clears a path before you in the twisted brush of the forest, journaling clears a path to clarity of thinking and helps you attain your career and personal goals. Let’s explore guidelines for journaling, why journal writing is so valuable and resources for exploring it on your own. A journal is a private place where you can give a voice to your thoughts, insights, feelings and dreams. It is a personal, written record of your observations, reflections and history. You don’t need to write daily for journaling to be helpful, and you can write by hand or type your thoughts on the computer. There are many different uses for journals. Some people record travels, prayer requests, personal observations, meditations, the history of their family or the development of their children. For others, journaling helps them chronicle their recovery from an addiction, a traumatic event or loss, or the end of a relationship. You can also use a journal to become aware of your behavior and the changes you want to make in areas like business development, exercise, nutrition, spiritual development and sleep patterns. Journal writing can help you improve your thinking and decision-making skills, release and review emotions, and refocus your choices and direction in life. Journaling can help you create an action plan to improve the quality of your life; tap into your goals, dreams and strengths; and address the obstacles—perceived and real—that are keeping you from achieving what you want. It can also help you relieve stress, since you can describe a problem and gain insights on how to resolve it. What kind of writing can help you move past negative experiences like a difficult session with a personal training client or a bad review from a fitness supervisor? While you can certainly record the facts about the situations, the real power of journaling comes in recording your reactions and emotions tied to the events. Jumbled thoughts and feelings tumbling around in your head can create tension, anxiety and anger. Articulating these thoughts and feelings can help you understand and move past them. Writing down—and answering—impactful questions can help you do this. For instance, write down what it is about a certain person that triggered a negative response in you. How would you like to have reacted differently? Or how would you prefer to respond to the same situation in the future? What is so freeing about journal writing is that there are no rules. However, the following suggestions can enhance your experience. When you sit down to write (or type if you prefer the computer), leave your inner critic in another room. Don’t feel the need to monitor spelling, grammar or punctuation. Forget about how you “should” write, and just write. At first, thoughts may come out that are jumbled and confusing. Your writing may be filled with emotions you would rarely articulate out loud. That’s okay. Unless you choose to share your writing, it is private and no one is going to judge it. The benefit you receive from articulating the swirling thoughts in your head is the ability to go back and review (if you want) what has poured out. In many journal workshops, the first exercise is simply to write nonstop for 20–30 minutes. Try it. You’ll be surprised by what happens when you do that for 3 or 4 days in a row. It may be interesting for you to write somewhere on the page the time and date when you are writing and/or the location. You can include pictures, sketches, news releases, clipped quotes or articles. You can learn a lot about yourself when you write exactly what you’re feeling and why you feel justified in feeling so. Remember, whatever you want to keep in your journal is up to you. It is your place to reflect and record history. 1. Decide what part of your life you would like to record in a journal. Do you want to write about lifestyle changes, business development or biographical information? Do you want to write to reduce stress? Your journal can include any combinations of the above. What you write is limited only by your imagination and interest. 2. Select writing materials that appeal to you. You’ll find a huge variety of journals in office supply stores, art supply stores and bookstores. There is no perfect journal. Look for one that appeals to you kinesthetically and visually and contains the type of paper you like. (Consider buying paper described as “acid free” or “archival”; it will last longer.) You can buy blank journals with or without lines. Use a pen that feels nice in your hand and flows as you write. If you enjoy color, use markers and colored pens. 3. Strive to create a writing space in your life. It should be a spot where you can concentrate, view nature, relax and get lost in your writing. 4. When the perfect space isn’t available, write anyway. If finding time is hard, set aside 10 minutes. When you don’t have time to completely write out your thoughts, jot down a note and put it in your journal for later. 5. Be honest as you write, but don’t critique your work. If you ever decide to publish it, you can work with an editor who will help you with proper spelling, grammar and punctuation. 7. Enjoy the process. Your journal can become your best mentor, adviser and confidant. The best part is there is no judgment—only insights you can use to grow your life, reduce your stress and discover your brilliance. Want more from Kate Larsen? 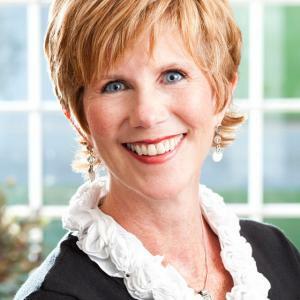 Kate Larsen, MCC, is a master certified coach, and serves as a faculty member, advisor and mentor coach for Wellcoaches Inc. Her work has appeared in Experience Life, Fitness, SHAPE, Self, Cosmopolitan, Prevention and other publications. She is also the author of Progress Not Perfection: Your Journey Matters. Certification: ACE ... read more.